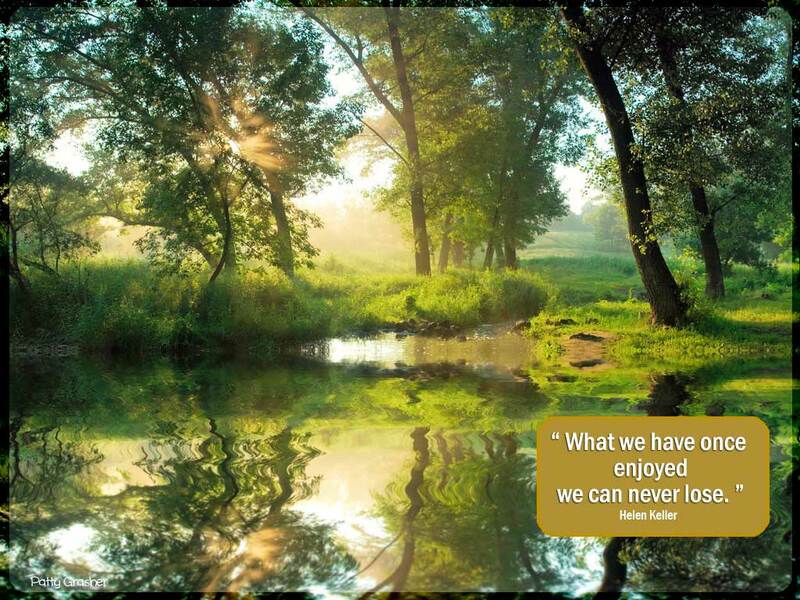 “What we have once enjoyed …” I think can apply to people as well, don’t you think? Lately I have been thinking about my mom and wanting to be in touch again. At this point it is only with memory that I can span the bridge from this life to the next but hopefully there is much more at some point. This week I decided to use quotes by Helen Keller. No reason except I read some quotes by her and they sort of fit my mood. Get the most out of life. Little things. Big things. It’s all out there for us to reach out and become connected with. The weather. Isn’t it frightening all these fires and floods? I think so. 1. Enjoyed a visit to Vancouver waterfront to see how the development is coming along. 2. Bought some delicious Serrano Sauce at Farmer’s Market. 3. Jon made me a Root Beer float – isn’t he the nicest? Helen Keller was an amazing woman. Root Beer Float sounds delicious, Jon is a keeper and so are you.